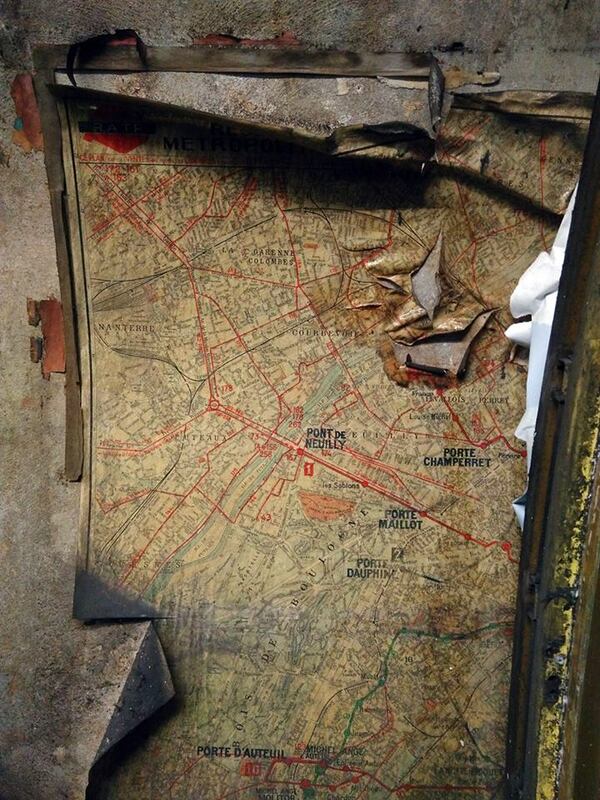 Public transport schedules dated June 20th, 1959, household advertisements, vintage city maps, concert promotions and even a record of criminal convictions that took place within the metro network– a time capsule of mid-century poster design was unveiled, forgotten behind the walls since they had been entombed during renovation work in 1960 for a city-wide initiative to modernise the stations after the war. 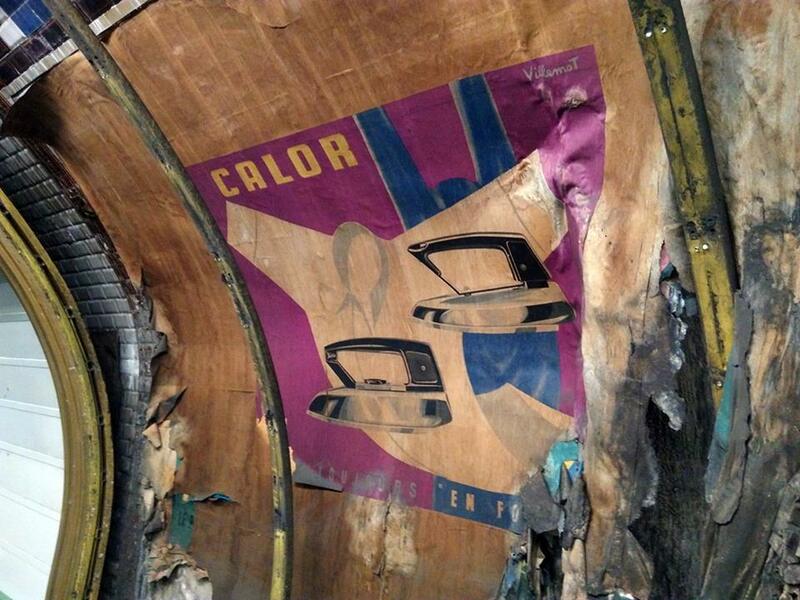 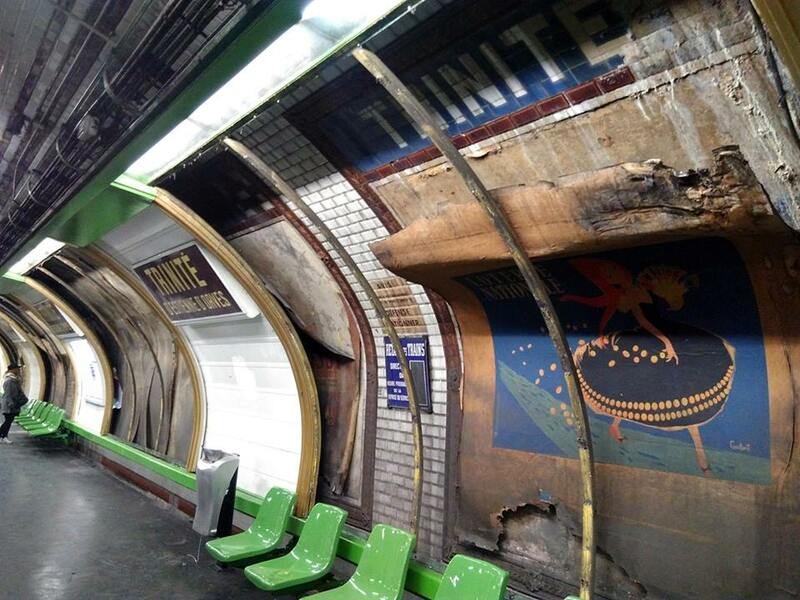 For a brief moment, metro passengers disembarking from their trains onto the platforms of the Trinité station last week, were plunged into the past as the carriage doors swung open. 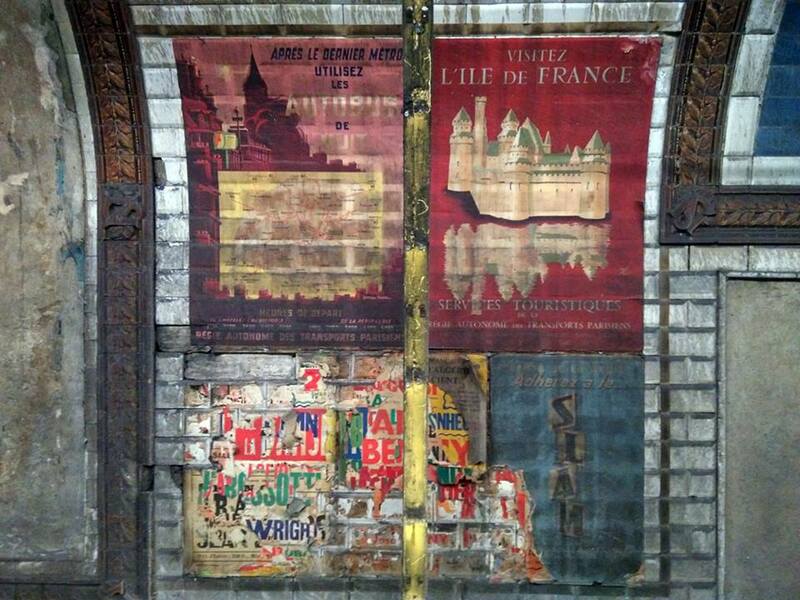 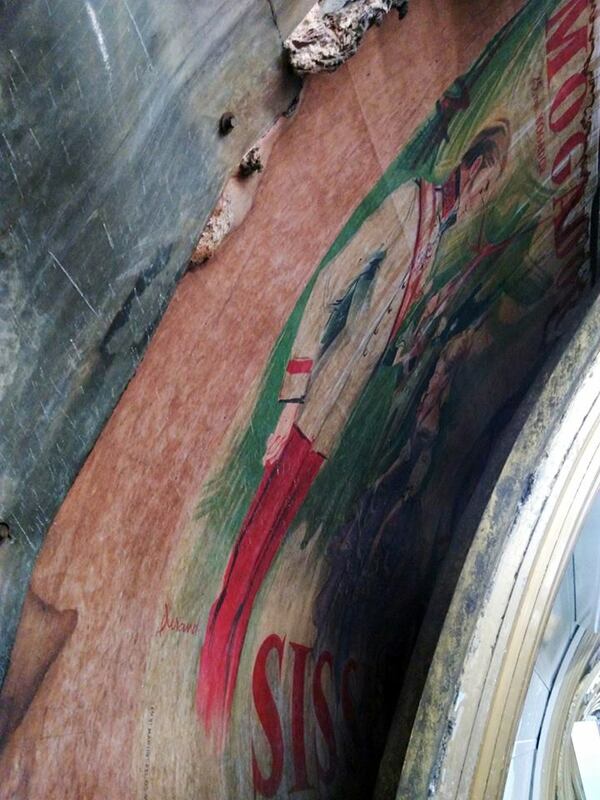 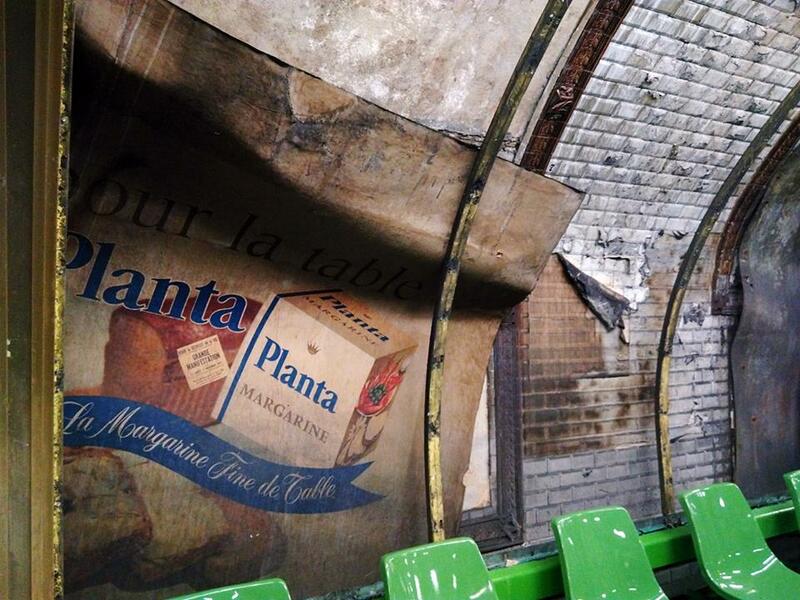 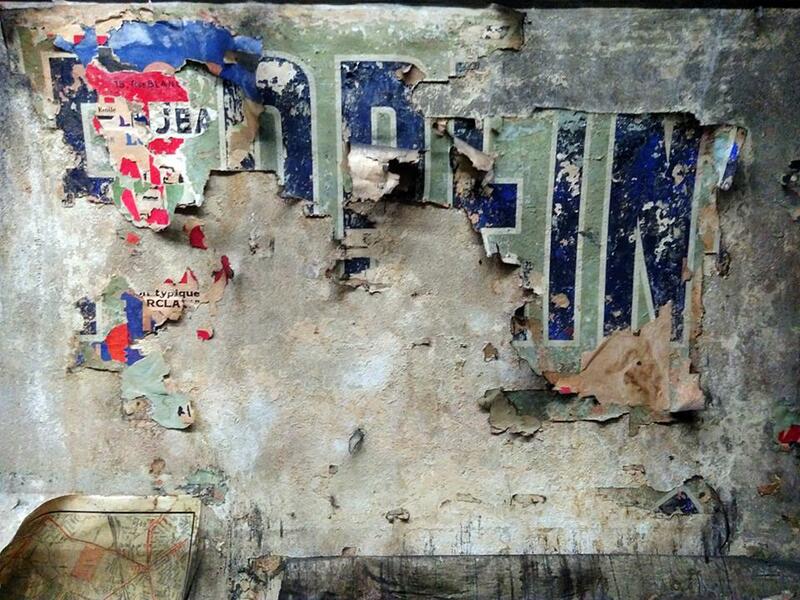 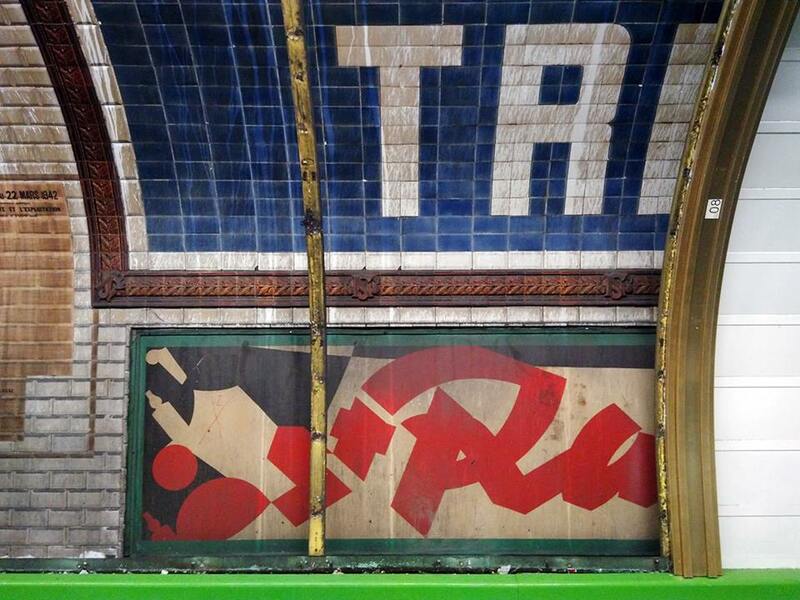 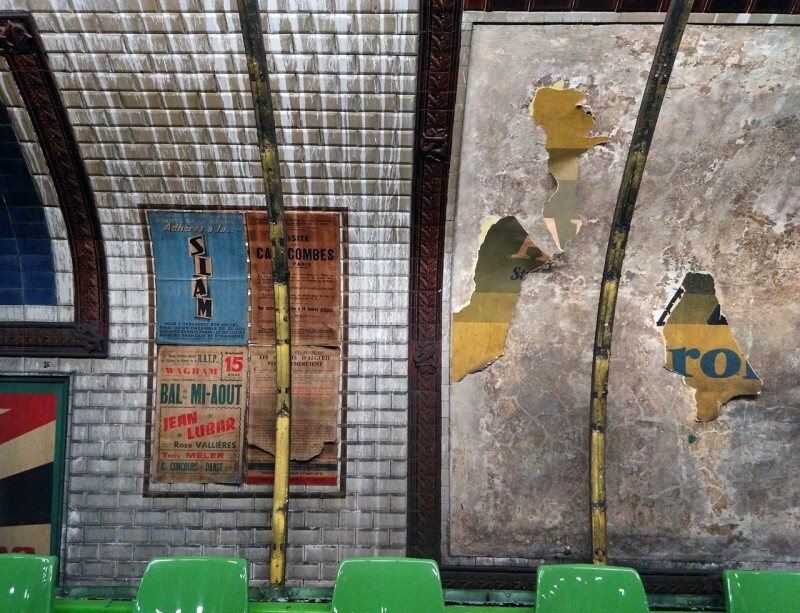 Parisian commuter Yan Covès was quick to snap the uncovered peeling artworks, knowing that within a few days, they would be sealed over once more. 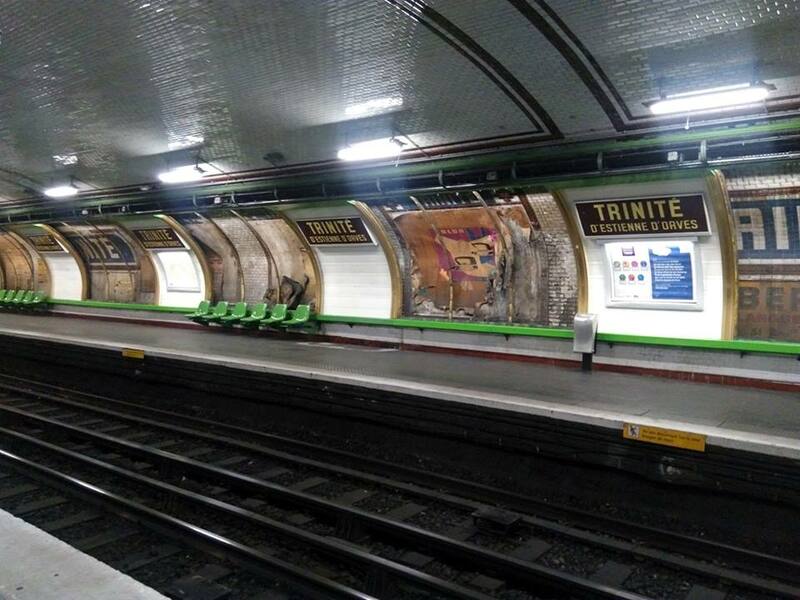 Nevertheless, Trinité is one of many stations scheduled to undergo preparations for big renovation works starting in October. 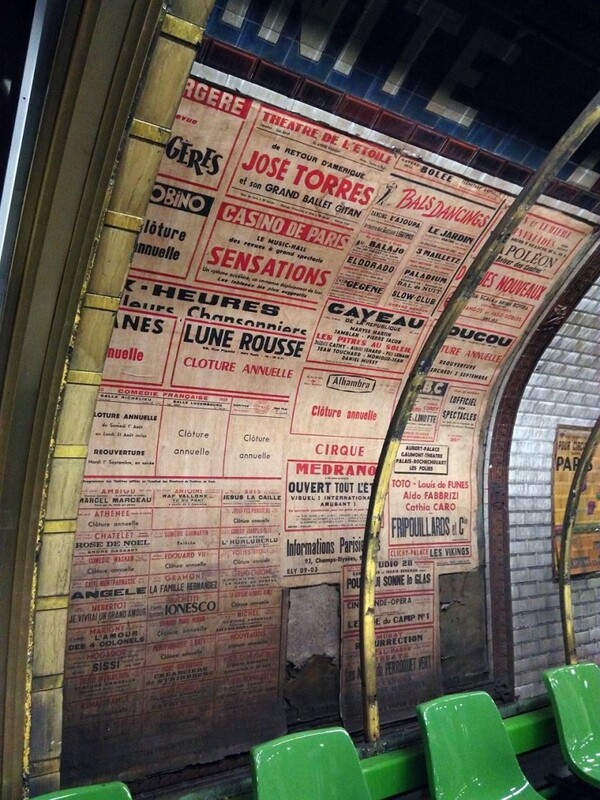 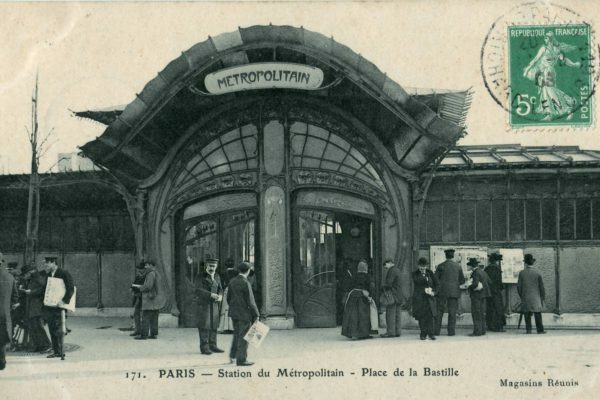 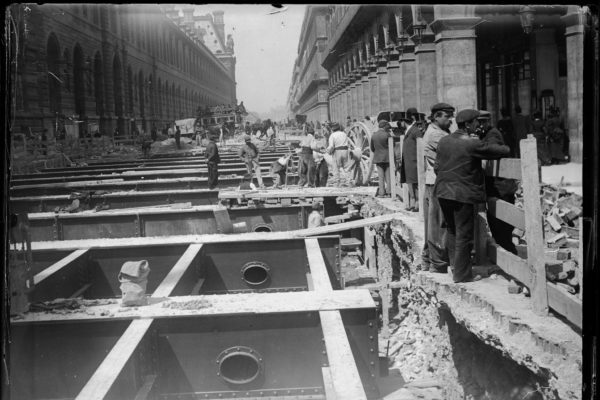 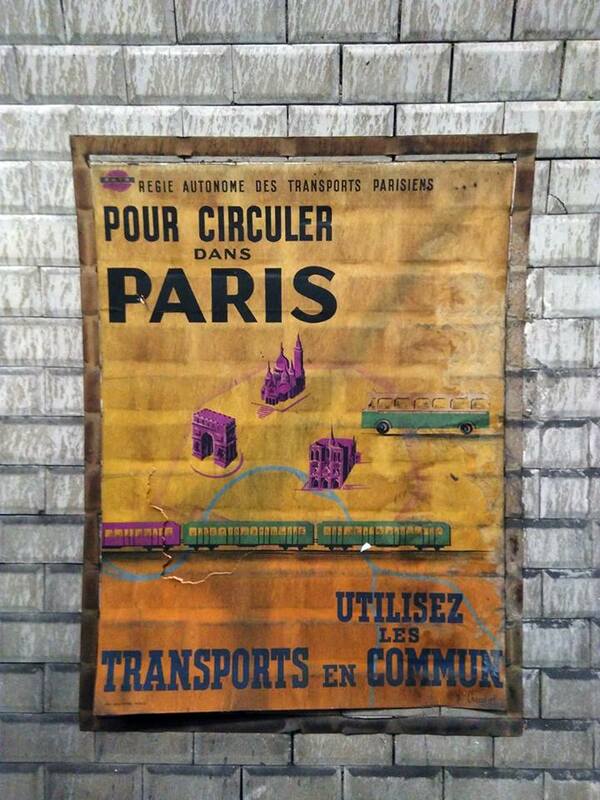 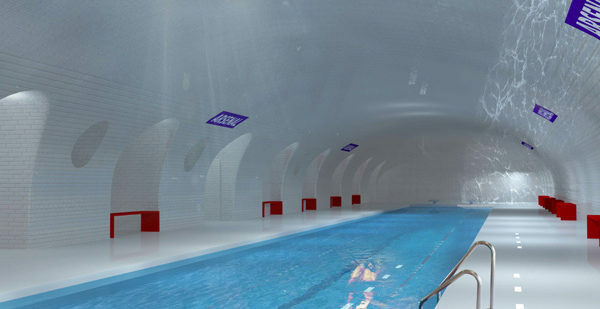 A welcome distraction from the routine of the daily commute and a rare glimpse into the urban environment of commuters 50 years before us, this might just give Parisians a new reason to enjoy riding the metro. 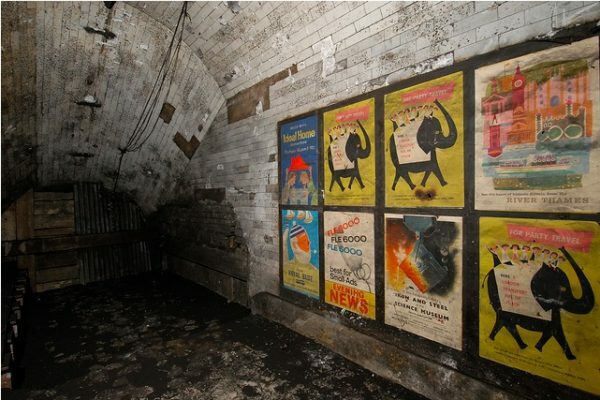 Surely it’s a sight worth being late to work for.